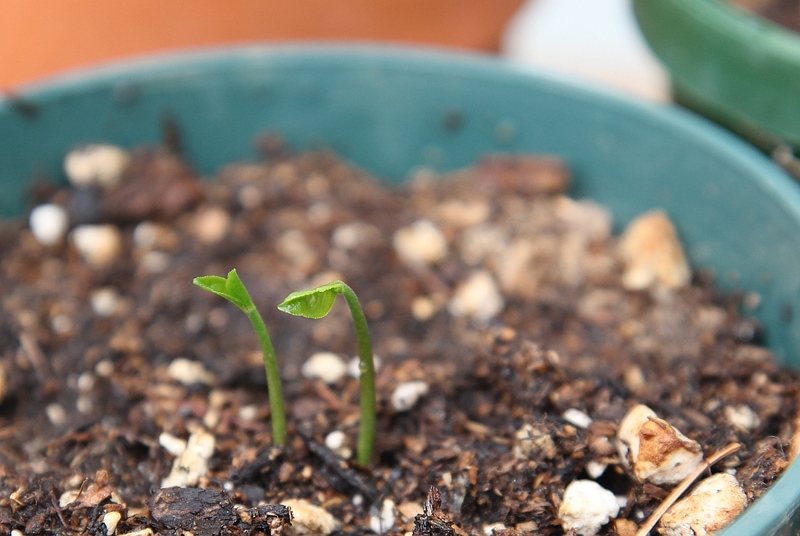 I ordered a little packet of dwarf meyer lemon tree seeds in the winter. 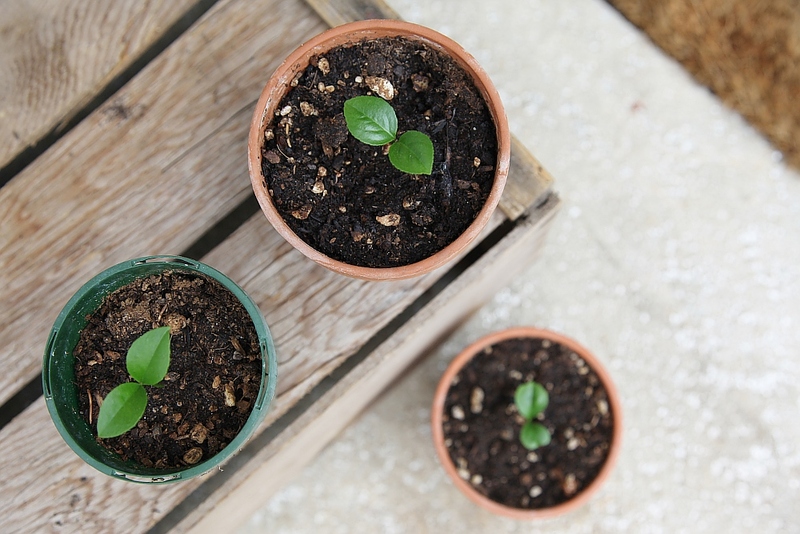 When they arrived, I was preoccupied with other things, and not quite yet in the planting mood, so I left them in their package for a few weeks until I was ready. Upon finally opening the package, I realized they came wet and fresh and that I was supposed to plant them immediately! Ai!! They were soaking in a wet piece of tissue, in a little zip lock bag, and some of the seeds had developed a pinkish hue (mold?). After getting over my irritation with my own neglect, I rinsed them off and planted each one – 5 in all. 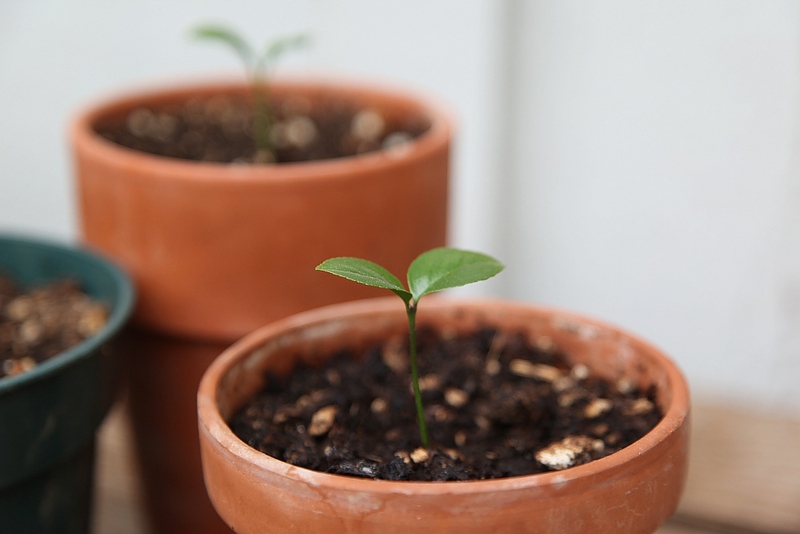 I set them upstairs in my studio where it stays quite warm, next to a window with it’s curtain closed, and tended them each day, making sure the soil stayed moist. I didn’t have great expectations, but it seemed worth a try. In a month or so, to my excitement, 2 little sprouts emerged! Another week or so later, a third emerged!! Tiny little trees. I have never grown trees from seed. 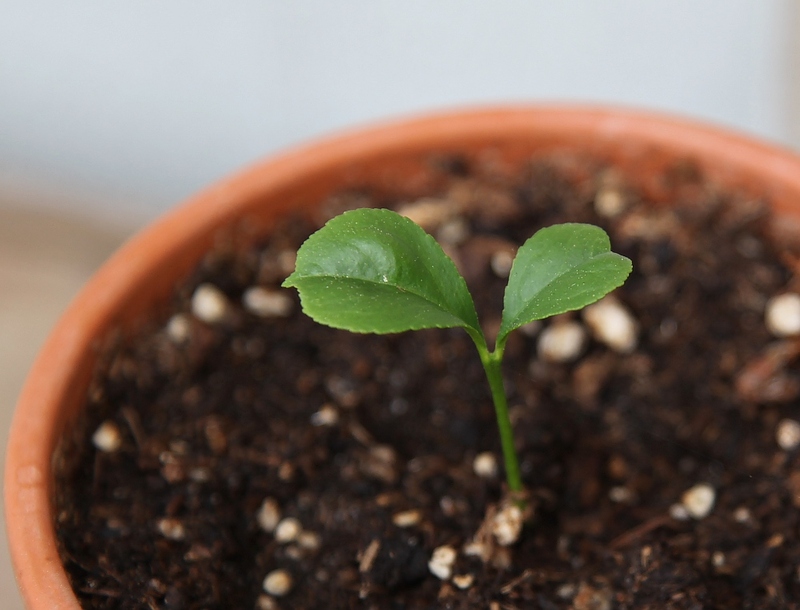 I love that I have this little grove of tiny meyer lemon trees growing, but even more, I loved this experience of communication with my plants. I try to listen to my plants – sometimes they grab my attention from across the room and tell me they need water. At times I have told them I will water them “tomorrow” and then forgotten, and then had them remind me. Over the years, I have become more and more familiar with these subtle communications, and now they do not seem so subtle. Each plant has a life force, and each life force has it’s own unique signature. It is a real joy for me to understand plants, and live amongst them. If I could just shift out of my dense-headed humanness more often, there is so much to understand and learn from the world of plants.